THE Government has accepted the recommendations of the Tripartite Committee on Employability of Older Workers to raise the age ceiling for the re-employment of older workers to 67 from 65. This will be done through promotional means supported by incentives. The idea is to give companies more time to prepare for this before legislation kicks in. The legislation will be introduced at an “appropriate time”. The PAP Seniors’ Group (PAP.SG) welcomes this move, which is a progressive step and will help to boost the employment prospects of our older workers. The Government has moved to bolster the position of our seniors in health care and housing through its recent policy changes, and it makes great sense now to focus on employment. This is an important way of ensuring that our seniors remain independent and can continue to live with dignity. To be able to work for as long as they wish to and earn a steady stream of income is greatly empowering for our seniors. Raising the rehiring age to 67 is not just good for the individual. It also makes great economic sense. It is projected that by 2030, there will be 900,000 people aged 65 years and above. If our total fertility rate remains at 1.2 and we have no immigration, there will be only 2.1 working age citizens for every citizen above the age of 65 in 2030. If we do not extend the productive working age of our older workers, our growth will be affected. Companies, too, benefit, and much has been said about the value of older workers. In a survey conducted last year by the Tripartite Alliance for Fair Employment Practices, the majority of the companies which responded agreed that mature workers benefited them through lower turnover rates and reduced absenteeism. 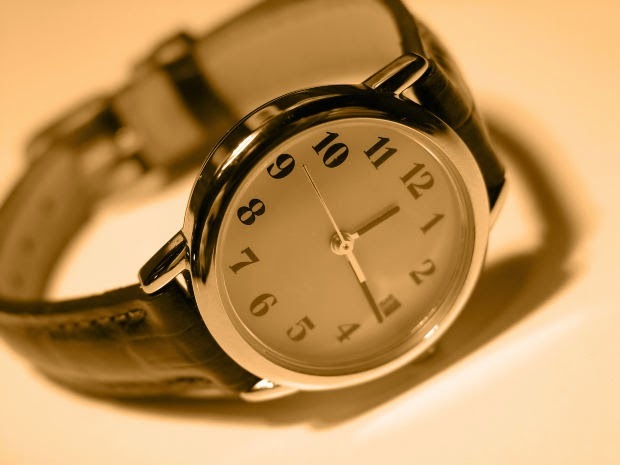 While promotional means is a practical solution to give employers more time to adjust, I do hope that the Government will not take too long to legislate the extension. I have no doubt that the unions will be able to push through the extension among unionised companies, but the worry will be the non-unionised companies, where this may not be a priority. To some extent, the proposed incentives may help and are a good move, as most employers have cited costs as a concern, but the question is whether this will provide enough push for companies to voluntarily raise the ceiling. I also hope that incentives will not have the unintended consequence of devaluing the contribution of older workers, particularly for those who would be re-employed in any case because their services are needed. Nevertheless, to really ensure that the incentives have an impact, the Government could consider introducing a sliding scale of benefits, whereby those who come on board earlier are given more incentives compared to those who respond later. In this way, hopefully, most companies would be encouraged to raise the rehiring age ceiling faster. According to employers, they need more time to redesign jobs and work processes and to retrain older workers. I find this surprising as such measures should already have been put in place when the rehiring age ceiling was raised to 65. There cannot be that many major changes that have to be made for the working age to be increased by just an additional two years. Also, employers’ concern about medical costs should, to a large extent, be addressed by MediShield Life that comes into effect next year, as a larger portion of hospitalisation charges will be covered. Hence, prudent employers may want to rationalise their own medical benefits scheme with MediShield Life, to address this concern. The training of older workers is another major area in ensuring that their skills remain relevant and useful to companies’ needs. There are now already available training grants and programmes that companies can tap to prepare their older workers, so that lack of skills should not be an excuse. The tripartite partners could also do a lot more to highlight positive examples of enlightened companies that have voluntarily raised the rehiring ceiling, even without any incentives. One example is Prima. A few years ago, I officiated at an event where the company gave out long service awards to its employees. There were employees who had served the company for more than 40 years and were in their 70s. It felt really good to see a company that values its workers so much. In August last year, Prima signed a collective agreement with the Food, Drinks and Allied Workers’ Union to offer 65-year-old workers, with satisfactory performance and good health, employment contracts until age 68. I urge more companies to emulate Prima’s example and waste no time in raising the rehiring age ceiling of their older workers. I am heartened, too, by the public sector’s positive response to the recommendation, as its hiring practices have a deep impact on the private sector. Finally, we need to address the concerns of older workers who have lost their jobs and are trying to get back into the workforce, which the recommendation will not cover. Among their biggest hurdles in seeking employment are hiring practices that are still biased against them. Employers should be prepared to give them a chance, rather than turn them away just because of their age. I would like to suggest that companies hiring unemployed older workers be given incentives too, and not only those who raise the rehiring age ceiling of existing workers. It would also be useful to conduct a study on the hiring practices of companies to ascertain whether this bias really exists or whether there are other valid factors involved that affect the hiring of older workers. In this way, more effective strategies could be developed to boost older workers’ chances of securing a job. The tripartite partners have made a good move. The challenge now is to make sure that the recommendation works. The writer is the Speaker of Parliament and chairman of the PAP Seniors’ Group. Encore! Encore! One more time. That’s what many retired Canadians want to do: Go back to work, try something new, perhaps with fewer hours and less pay, but find a way to keep active, stay engaged and get paid for it. Longevity is rising, we’re healthier and so the traditional notion of retirement has faded. Some want to work because they have to and others because they want to. But if our needs are changing, our employers aren’t keeping up with the times, says Adina Lebo, chair of the downtown Toronto chapter of the Canadian Association of Retired People (CARP). Attitudes in the workplace are geared to forcing older workers out of full-time work and few employers have mechanisms to offer a transition to part-time work. CARP sponsored a job fair in Toronto last year to link employers with 50+ candidates. There was plenty of interest from companies with franchising and sales opportunities. The former requires an investment on your part and the latter uses your networks to sell products or services. There are jobs out there for older works, but competition is stiff. For many, the first step is dusting off their resumes and polishing rusty interview skills. Marie Bountrogianni, a former Ontario cabinet minister and currently Dean of the G. Raymond Chang School of Continuing Education at Ryerson University, has some advice. Here are her five top job hunting tips for older workers. Talking about your age: “This is always tricky,” says Bountrogianni, who has a Ph.D. in education and was chief psychologist for the Hamilton Wentworth District School Board before entering politics. “Employers are not allowed to ask about your age, but they often hint at it. Talk around your age in constructive ways. [For example,] you can indicate that because you no longer have little children you have a lot of flexibility around scheduling. Don’t say, I’m ready for a change: “While it may be very true, it sounds like you are bored, and have grown stale in your current job,” Bountrogiann says. Age proof it: Don’t go back to the beginning of your career. Choose the experiences that relate to the job you are applying for. Do not put in specific dates for jobs or schooling. Show what you have done: Use a functional, rather than chronological resume, so that you can bundle your experiences without dating them and relate skills to the job advertised. Bountrogianni says employers want to know you’re not planning to coast at their expense. They also want to know you are still current, so she advises taking courses in your field of interest and keeping up to date. Always have questions in an interview, because employers want you to be interested in them and about their job. Bountrogianni is Ontario’s representative on Skills Connect Inc., a national non-profit organization founded by the Manitoba Chambers of Commerce in 2010. It receives government funding and owns ThirdQuarter, a national employment recruiter for people aged 45 and over. More agencies are working with older adults, including The Challenge Factory, which has offices in Toronto, Calgary and Ottawa. The Chang School offers programs of interest to 50+ workers. Wednesday, Bountrogianni is hosting a free breakfast between 8:30 and 10:30 as part of a panel discussion on aging in the workforce. It is being held at Heaslip House, 7th Floor, 297 Victoria Street. The majority of job seekers aren’t using their resumes to paint themselves in the best light, new research finds. Three quarters of human resources professionals say one of the reasons they’re having trouble finding qualified candidates for their open positions is because of poor resumes, according to a study from the career network Beyond. 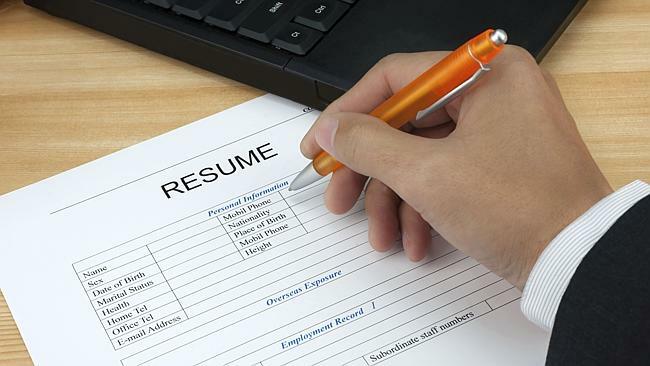 Overall, 73 per cent of the HR pros surveyed believe job candidates are doing a bad job of tailoring their resume to the specific position they’re applying for, and less than 30 per cent of job seekers say they always customise their resume to a specific job. That means the majority of candidates are not taking advantage of the opportunity to highlight their most relevant experiences and to prove to employers that they are worthy of an interview, the study’s authors said. Further underlining their need to alter the way in which they present themselves to employers, many of those looking for work aren’t sure whether hiring managers are looking for their hard skills, such as degrees and technical training, or their soft skills, like communication and teamwork, according to the research. The study revealed that while hard skills will get candidates in the door, it’s their soft skills that will get them the job. Nearly 70 per cent of the HR professionals surveyed look at hard skills first when searching for candidates. Fifty-six per cent, however, said that the most important abilities in a new hire — and those that often get them the job — are soft skills, especially interpersonal relations. The study was based on surveys of nearly 4,000 job seekers and human resources professionals. This article originally appeared on Business News Daily and was republished with permission. The 2014 Federal Budget is mostly ‘stick’ and very little ‘carrot’ for older Australians. By reducing government support to older Australians, it will force many to work longer but offers few incentives to do so. It’s not clear whether all the changes from the Federal Budget will make it through the Senate, but there are a few realities that older workers need to consider. The major change is that the age pension will be both more difficult to obtain and of lower value. Income testing will be more stringent, with the income eligibility threshold being 35 per cent lower than it currently is. Superannuation will continue to be included in the asset test’, but super draw downs will now be considered income’ as well, making it harder to obtain a part pension. Additionally, the age pension will now be indexed to the Consumer Price Index (CPI), rather than the average male wage. Council on the Ageing (COTA) estimates that this means a real world reduction of $80 per person per week on a full pension within 10 years. Last but not least, the age at which a person is eligible for the pension will increase from 67 years of age at a rate of six months every two years until it hits 70 years of age in 2035. This translates to Australia having the highest age for the age pension in any OECD country. There will also be an increase in the income threshold for the Seniors Healthcare Card. 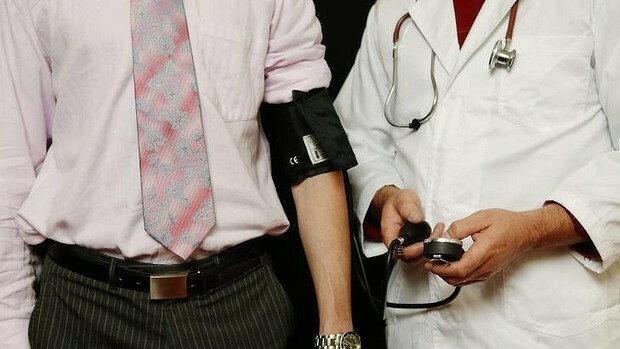 The Seniors Supplement was abolished as of 1 July, 2014 and a new co-payment for both doctor’s visits ($7) and medications (80 cents) will be introduced. As seniors are the demographic most in need of medical assistance, this will hit them the hardest. The other major change is to superannuation. The concessional superannuation contribution cap (contributions that are made before tax deductions) that you are permitted increases from $25,000 to $35,000 by 2015 for those over 50 years of age. The non-concessional cap (voluntary contributions from post-tax incomes) goes up from $150,000 to $180,000. This means that you can voluntarily build your super faster. However, for incomes over $300,000, the tax rate on super contributions still jumps from 15 per cent to 30 per cent. Overall, older people are being encouraged’ to work longer and save more to support their retirement. Judy Higgins, the general manager of the Older Workers job board, says that this means hard times ahead for some older Australians and women in particular. “Older women reportedly have, on average, half the amount of super of males the same age,” she says. The only support program proposed in the Federal Budget is the introduction of the Restart programme, which offers employers up to $10,000 to employ an older worker. The payments are staged over two years and the person being employed must have been on benefits for more than six months. The Federal Treasurer Joe Hockey says that this will help 32,000 older workers back into employment. “Previous incentive payments of these types have had little to no affect,” she says. This budget is about getting people to work longer and increase their own superannuation balances before retirement. Older workers in fulltime employment may be able to save more, but those who are not working and who do not have adequate super balances face a difficult future. With falling support from government in managing the cost of living and healthcare, older workers will have to make up the difference from their earnings or superannuation, or start drawing against their assets earlier.